Time to shift some projects that I will never get around too! I am UK but would post overseas at cost. 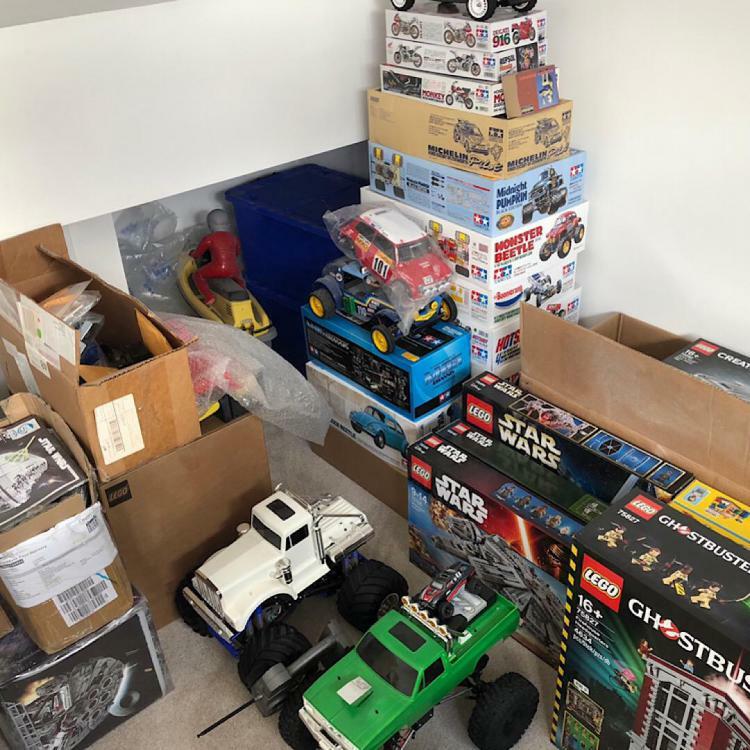 Might be willing to haggle on some bits! 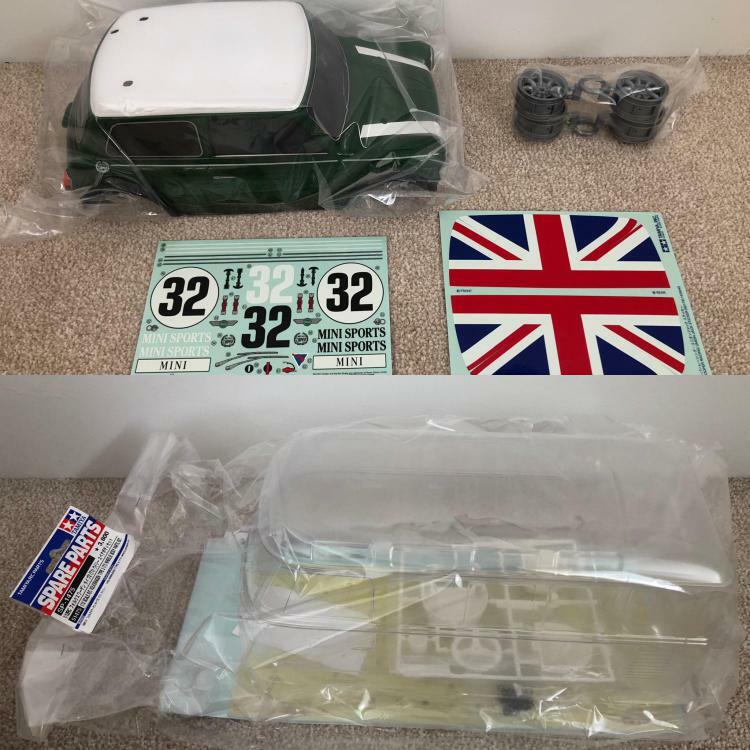 VW T2 splitty shell from WR02 - £40+postage. Last pic shows the rest of the projects that could be sold for the right offer! Wow is that the big Millennium Falcon in Lego you have in a box on the left? 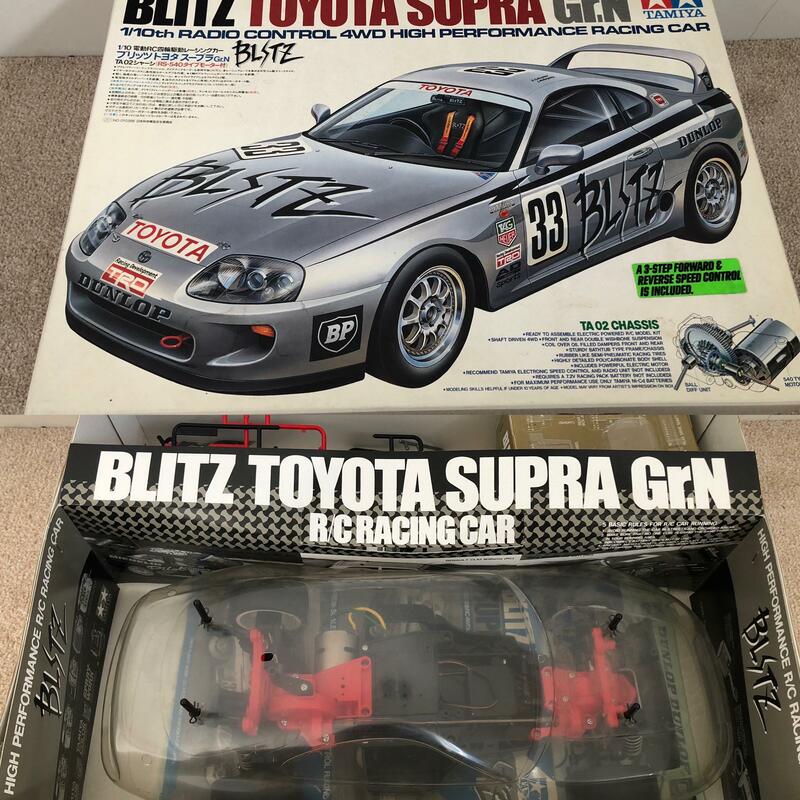 How much would you like for the Supra shipped to the Netherlands? lol it's like an Aladdins cave your gaff, would you want to sell that lovely unpainted Bullhead shell with its chrome accessories all attached? I spy a M-class Beetle kit in that bottom photo. Might I enquire as to which chassis it is on? Sorry - had an unexpected trip away! Im back now so answering any q’s. would take an offer on the bullhead - its sat on a superclod chassis, but i do have all the correct chassis parts for it..
replied to your PM, thanks. 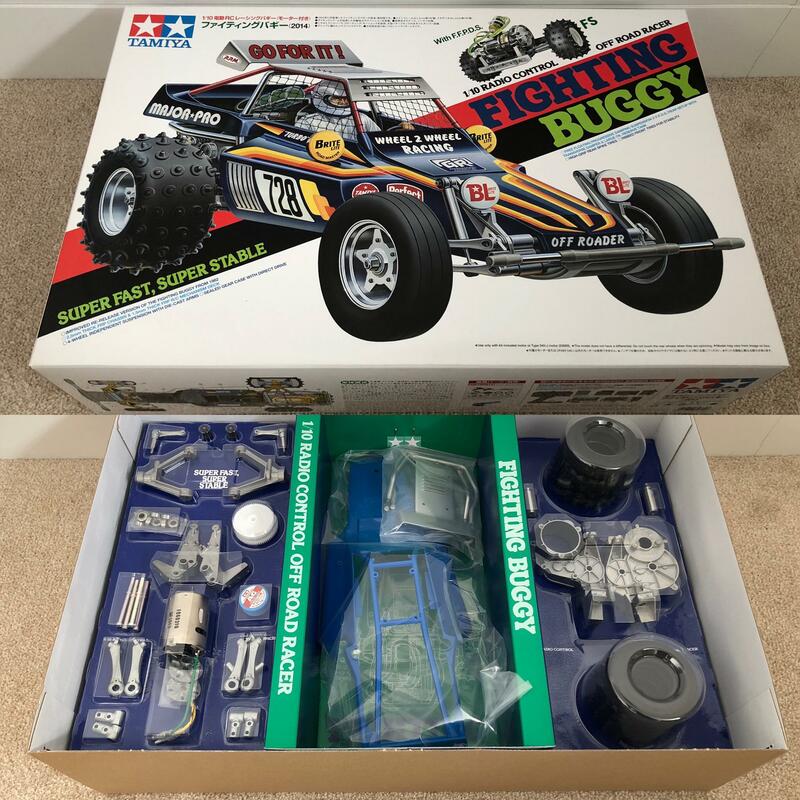 Hotshot and mini body gone, fighting buggy and vw shell on ebay. Is that an original Clod Buster I see with the green body? You selling that? Good way to make quick easy money with some canny buying.